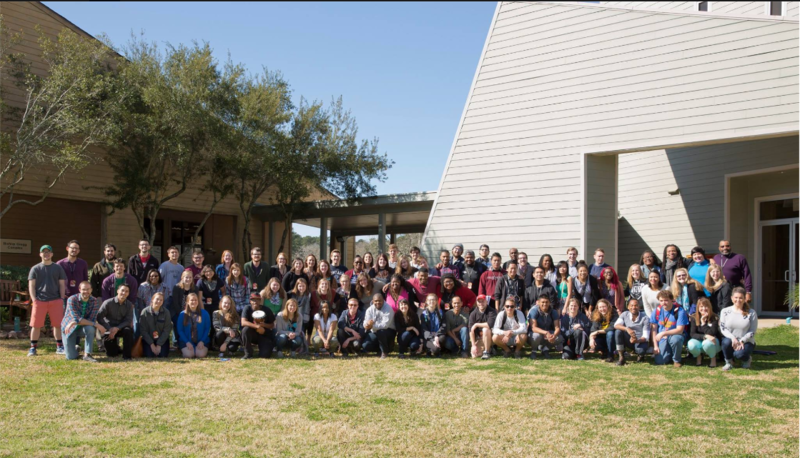 Happy New Year & upcoming January events! 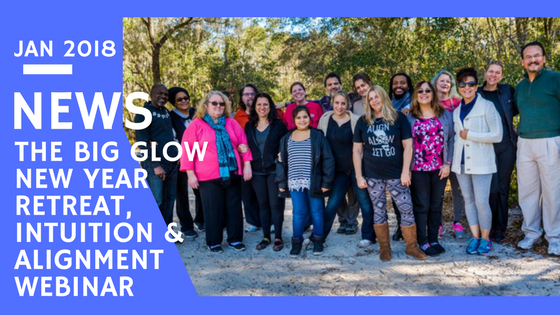 Our next Big Glow retreat is late April and we’d love you to join us! 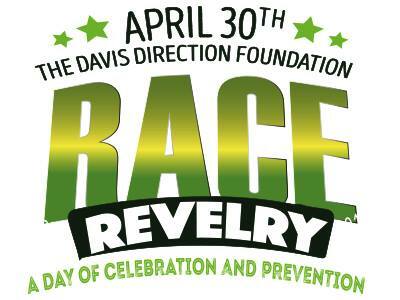 Click here for more details and registration! 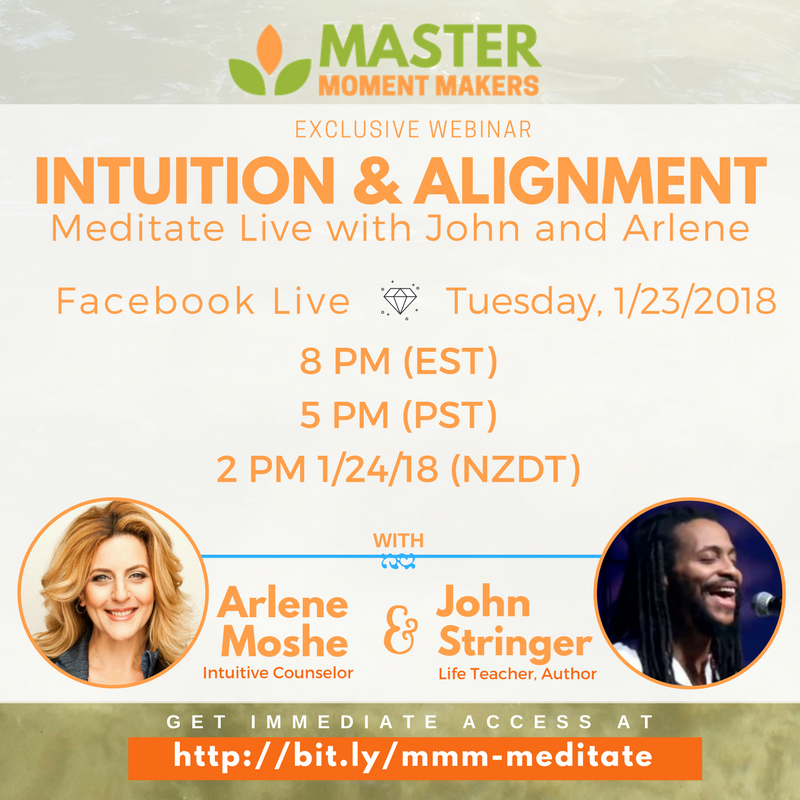 Join MasterMomentMakers.com founders, John Stringer & Arlene Moshe, for a meditative session where we will take you through simple, relaxing meditations that will help you tap into the limitless power you have to choose how you navigate and create your experiences from moment to moment! 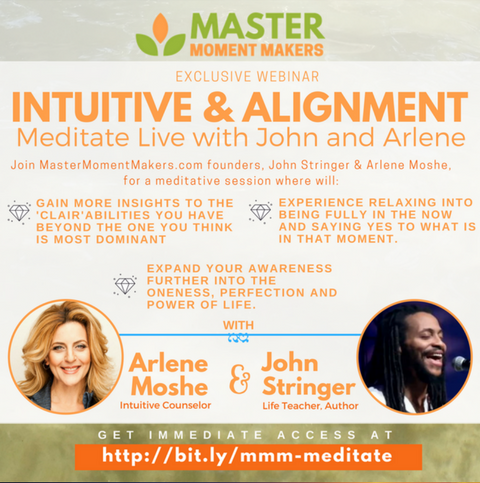 Experience relaxing into being fully in the now and saying yes to what is in that moment. 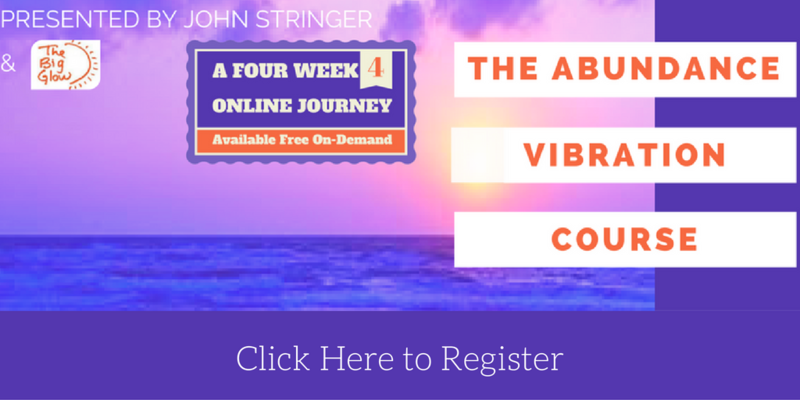 Expand your awareness further into the oneness, perfection and power of life. Just got back from an incredible mini-tour with Kathy, Johnny and I (our daughter, Jolie, was visiting NY with her father, Jeff) and it was such a blessing. 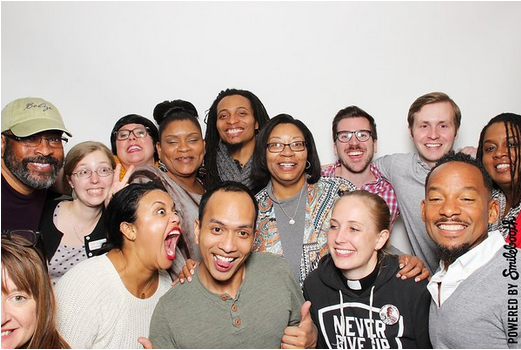 We’ll be heading out again soon, but I wanted to give you a few updates and invite you to join us where you are able. 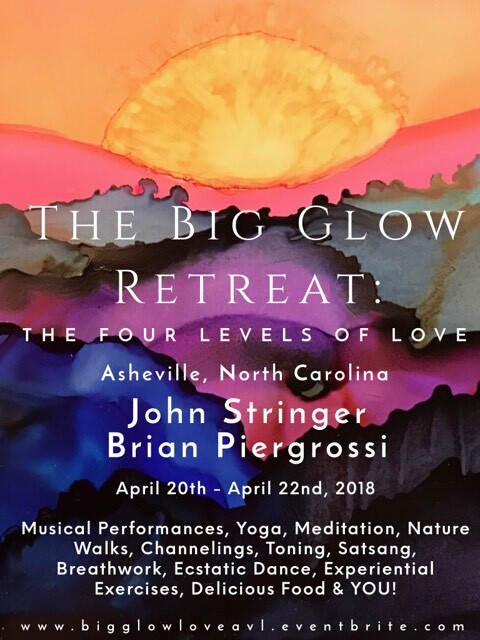 First, if you are interested in joining Kathy and I (along with co-host, Brian Peirgrossi and a bunch of our friends) for our 3-day, all inclusive Big Glow: Limitless Love & Light Retreat (Sep. 10 – 12, 2016) to spend some quality time together in a North Georgia mansion, you’ll want to check out details here (or here if you don’t use Facebook). 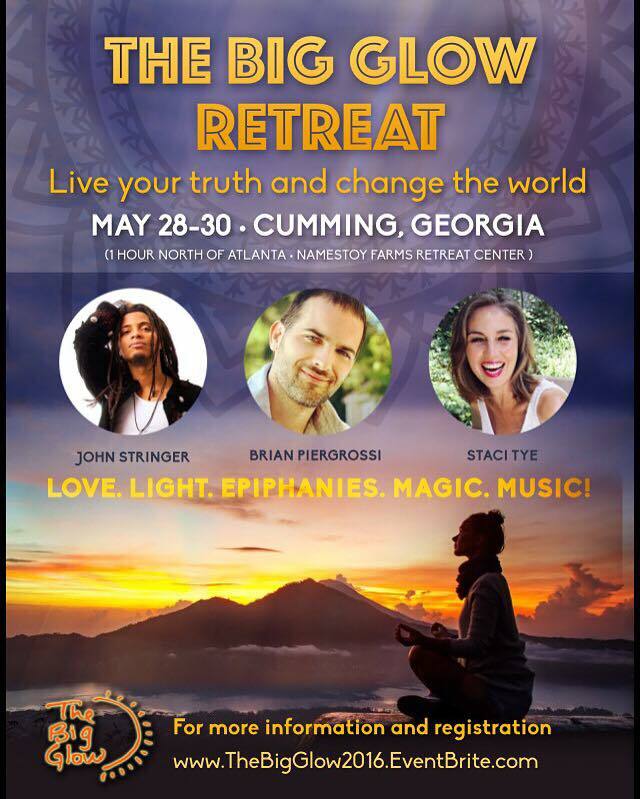 We’ll have food, music, breathwork, yoga and an abundance of love & light to enjoy! It’s filling up quickly, so register ASAP if so lead! Second, we so enjoyed being with you all who joined us in our Florida stops (Orlando, Clearwater, St. Johns, Jacksonville, St Augustine and beyond)! It was truly a time of coming together in a powerful, loving and healing way and I’m so grateful to all of you who we got to spend time with. Thank you for being there and allowing us to serve! Finally, make sure to download my last 3 albums with my former band (State of Man / JaD) at https://www.reverbnation.com/johnstringer/albums/ for free as a gift for joining my online community. Just click here and visit the above link to download the music. We had an incredible time during our Florida, Georgia, Tennessee tour. Stolen PA & Music Equipment Replacement Fundraiser (live) – My wife was inspired to launch this GoFundMe to help replace my PA & music equipment someone took when they stole our second vehicle. Fortunately, both vehicles were recovered by the police and repaired by our insurance company (thanks, GIECO). Although the police didn’t recover my equipment, we know this is just another avenue to receive and give. Thank you in advance for anything you’re lead to contribute! 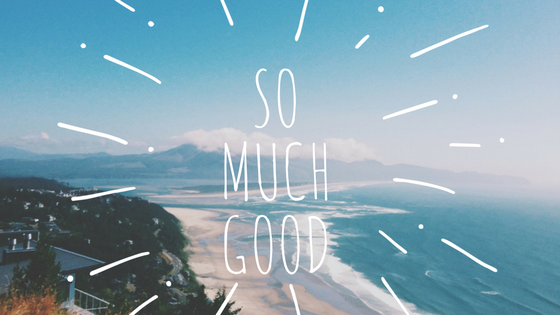 Finally, please Join my newsletter here to stay up to date on other upcoming events! 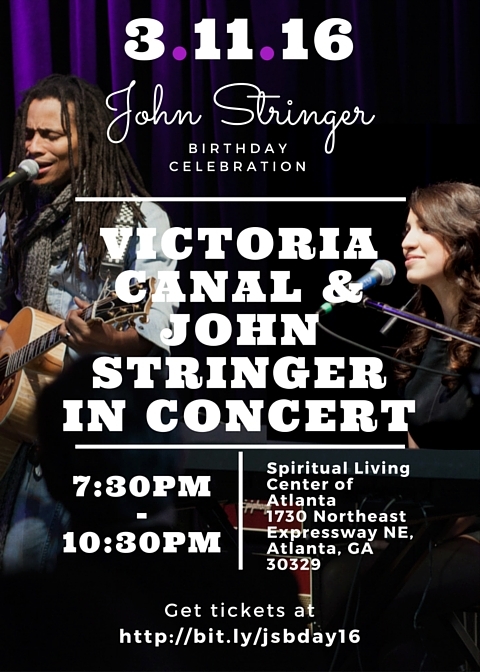 John Stringer 2016 Birthday concert w/ Victoria Canal and more! 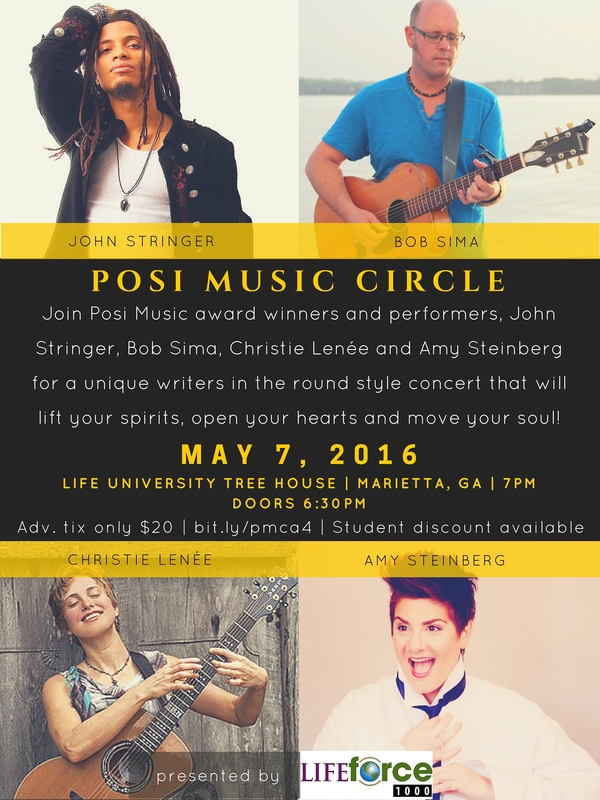 Join me (John Stringer) for my annual 2016 Birthday Concert on March 11, 2016 at 7:30PM – online or at Spiritual Living Center of Atlanta – with Billboard charting artist Victoria Canal, Jesse Owen Astin and Astarius Miraculii. My actual birthday is 3/15 but we’re celebrating early! 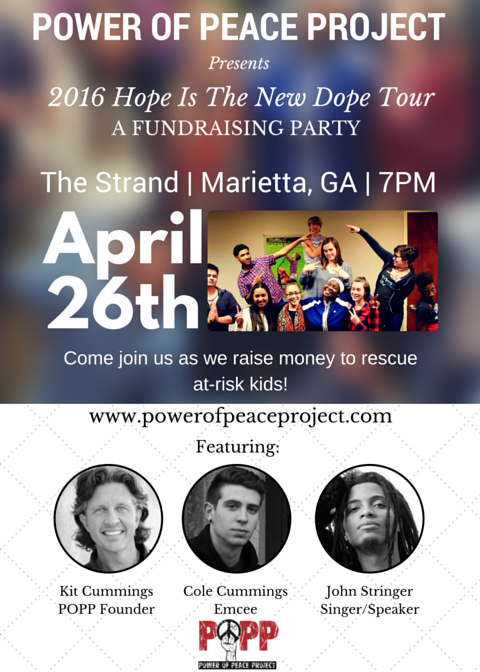 Part of the proceeds will go to SERV International to help feed families around the world. You can still get VIP tickets that include a special Meet & Greet before the show, but hurry because they are going fast! 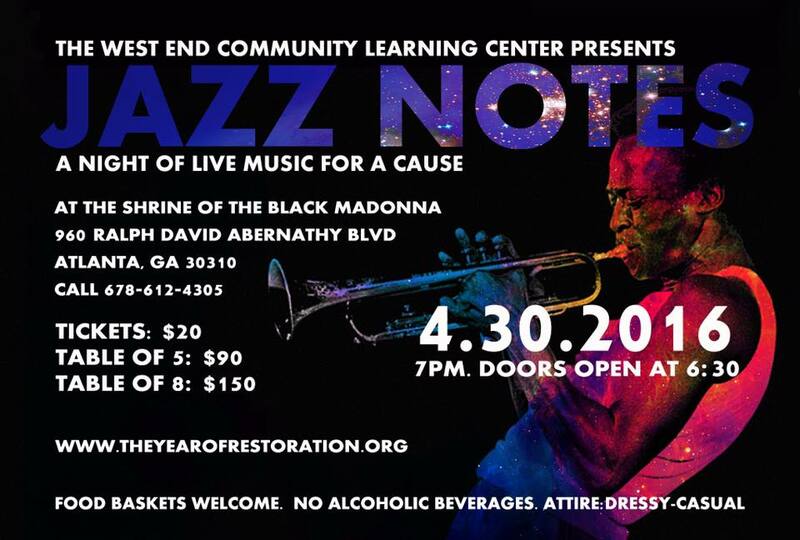 Get tickets and full details here. Out of town and can’t make the show? Watch online and donate here. Also, I’ve been in bed healing (caught something on my trip) and resting up from an amazing week last week with back to back trips to Philadelphia for a meeting, then to Orlando, FL for a conference where the BandingPeopleTogether.com team and I spoke to the amazing Bentley Mills leaders regarding performance improvement, collaboration and employee engagement, and finally ending my trip at the Forum for Theological Exploration (FTE)’s Regional Discernment Retreat where I was honored to serve as Musician in Residence and share music with FTE leaders from all around the country. 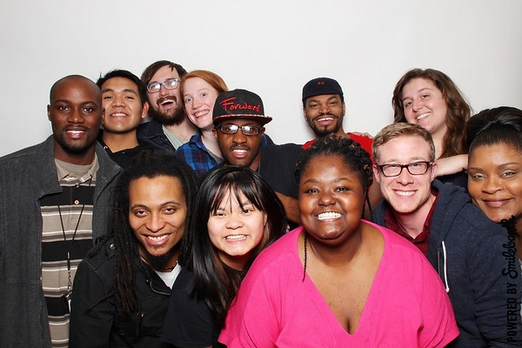 I met so many special people and I can’t say enough about how awesome each experience was. It truly showed me how surrender and trusting the divine / life / God / Source to lead and use you is a powerful and liberating way to live. As always, if you haven’t picked up a copy of my debut solo album, check out the physical and digital options here. 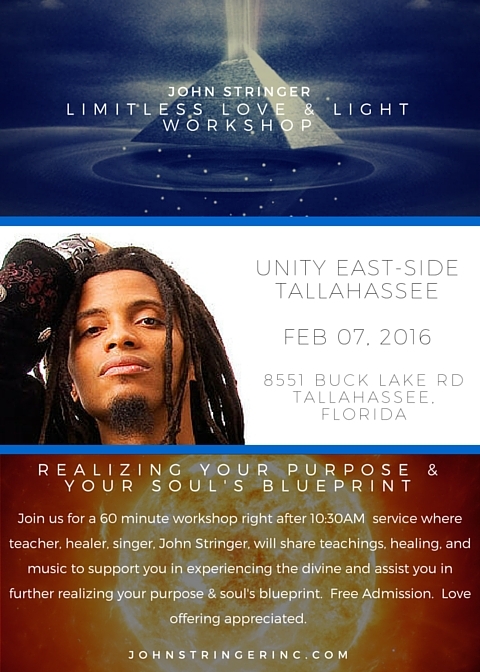 For all our friends in Tallahassee, FL, we’ll be returning to join new friends at the Unity East-Side Tallahassee Spiritual Center for their 10:30am service on Feb 07, 2016. 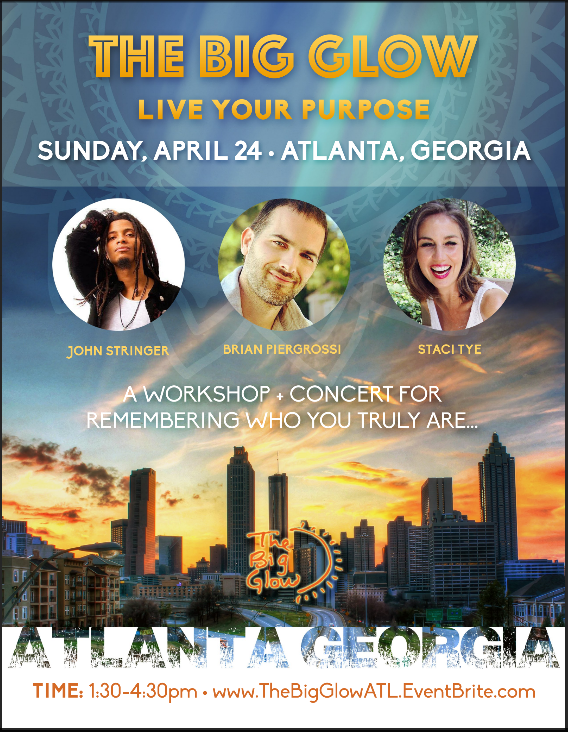 We’ll also offer a free Limitless Love & Light workshop at 12pm (immediately following the service), so we hope you can join us. 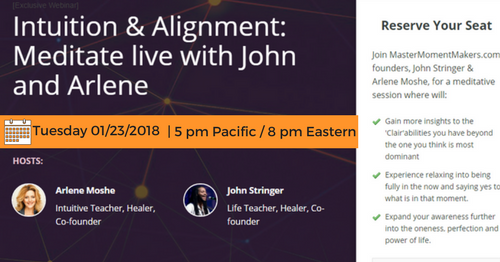 Finally, if you are interested in learning how to “Share in the Abundance” generated by the new album, “Limitless Love & Light,” and the workshops or other related services, click here to see how you can raise finances while helping raise consciousnesses. For additional workshop / speaking / concert dates, check the tour page here.